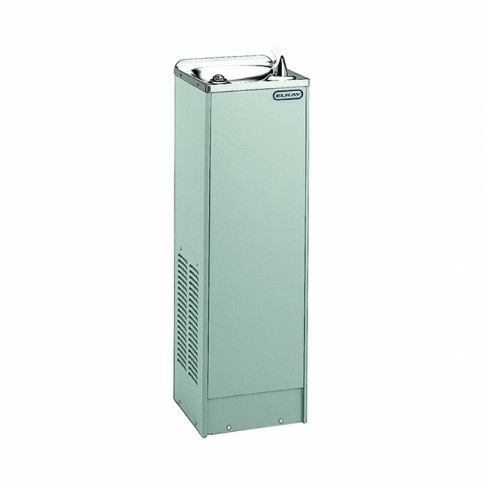 The Cube Drinking Fountain is a self contained, electric refrigerated floor model water cooler ideal for indoor use. It has an extra deep basin to minimise splashing, an internal drain and a Flexi-Guard Anti-Microbial Safety Bubbler that utilizes an infused anti-microbial pliable polyester elastomer to prevent accidental mouth injuries as it flexes on impact. It is a slim, space saving, free standing drinking fountain with a removable front panel and is ideal for new and upgrade installations. By promoting a sustainable way of living and encouraging a healthy lifestyle the aquafil cube drinking fountain unit is a dynamic tool in the fight to reduce plastic waste and conserve precious resources resulting in a cleaner, greener planet for future generations.